The Federal Work Study Program is designed to provide financial aid resources through part-time employment for students having documented financial need for assistance in meeting their educational expenses. The program must be a supplement to existing aid for students, thereby increasing part-time job opportunities throughout the campus. Now Available: Federal Work Study Handbook for Students & Supervisors! Eligibility for participation with Federal Work Study is determined by the Office of Financial Aid on a yearly basis. All students must complete a FAFSA form at the beginning of each calendar year and submit an application for Federal Work Study. The application can be found online or in the Office of Financial Aid. The awarding process cannot be complete unless the student completes the FAFSA requirement. The amount of money you are eligible to earn is based upon the award given to you by the Office of Financial Aid. The hours that you complete will be paid on an hourly wage for what you worked within a given pay period. If you have not earned all of your work-study funds during a semester, the funds are deducted and awarded to other students. This does not affect your other Financial Aid; however, it may affect your evaluation and the amount of funds awarded to you in the next academic year. As a work study student, there are innumerable benefits which include pay rates above minimum wage with the opportunity to gain a higher pay rate, weekend and evening hours availability, and work experience on your resume'. 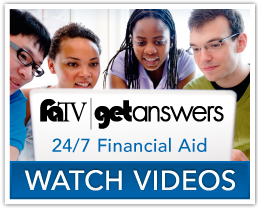 The Office of Financial Aid is constantly researching new products and information to make your college and Federal Work Study experience as easy and memorable as possible. And you, the student, are expected to show the same commitment and level of professionalism in the Federal Work Study Program as in any other job. Please be sure to download and read the Federal Work Study manual. In order to receive Federal Work Study, you must be enrolled full-time (12 hours for undergraduate, 6 hours for graduate) during the semester in which you will be working. If the student withdraws from the university, he/she MUST cease working immediately and your supervisor must submit your final time sheet. All students must maintain good satisfactory academic progress in order to receive and continue to receive Federal Work Study. Every employee is required by federal law to establish their identity and eligibility to work in the United States. Students who have not completed this packet will not be allowed to begin their position. A COMBINATION of one (1) document from List B and one (1) document from List C (please refer to the List of Acceptable Documents of Form I-9). You must also complete the W-4 Employee's Withholding Allowance Certificate and the NC-4 Employee's Withholding Allowance Certificate. These forms must be submitted to the office along with your I-9 Form. All forms must be on file before a student will be allowed to begin their Student Employment. It is the responsibility of the student to notify his/her supervisor when he/she is unable to work as scheduled. Students are expected to arrive on time and work scheduled hours. Students must dress appropriately with regards to assigned job. Supervisors have the right to terminate students from their work site and the Office of Financial Aid will cancel your Federal Work Study award at anytime due to non-conformance. Students who work on campus are employed to perform duties that complement, not replace, full-time employees. The student's first responsibility and priority is their academic success; with this in mind, students cannot work more than 10 hours per week. All students will be terminated from their position for poor job performance, dishonest practices, breach of confidentiality, or failure to report to work. If you are terminated for any reason this may affect your future employment at the University. Students employed with Federal Work Study must submit time worked online through their Banner Self-Service log in every two weeks. All time must be entered by the student by the 10 AM deadline on Monday after the pay period ends. Supervisors must approve timesheets by the 4 PM deadline of the same Monday. Students may not work more hours than the total award offered by the Office of Financial Aid; doing so may result in the reduction of next year's Student Employment Award. No student may work more than 10 hours per week. No exceptions! All time worked will be submitted online early during the Christmas vacation due to the early closing of the University and the State of North Carolina for the holidays. The following forms are required before the student can begin working. Once the forms are completed, in its entirety, the student and supervisor will receive an email from the Federal Work Study Coordinator with their date to start work. Accompanying documentation for the I-9 form. Note: Please be advised that any time worked before these documents are completed will be considered invalid and therefore will not be paid.